Corto Divers is located in Coron town, on Busuanga Island which is one of the two main islands of the Calamianes archipelago in the region of Palawan in the Philippines.Coron is the Philippines Capital of Wreck diving. 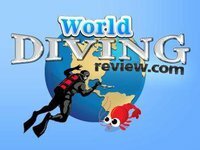 Our center also offers introduction dives, SDI and PADI courses, from open water level to Dive Master professional level, and all the usual specialties. French, English and Tagalog speaking guides and instructors, with qualifications and experience, are here to help and guide you throughout your stay among us. Wrecks covered by coral and reefs around the Calamianes, as well as beaches, are accessible to all divers, beginners or experimented. We offer 4 bedrooms, lounge, kitchen and balcony just above the dive shop with all facilities. Our Hotel Corto del Mar (32 rooms) is also ready to welcome you.